Robert R. Matthews, 81, of Cedar Run, NJ passed on Friday, July 20, 2018. Born in Peckville, PA to his late parents, Leon and Helen Matthews. He served in the US Air Force and has been a resident of the Barnegat and Manahawkin, NJ area for over 40 years, where he was a communicant of St. Mary's Church. A good natured man, he had a fun loving disposition which earned him the nickname "Kool Bob", especially among the younger generation. 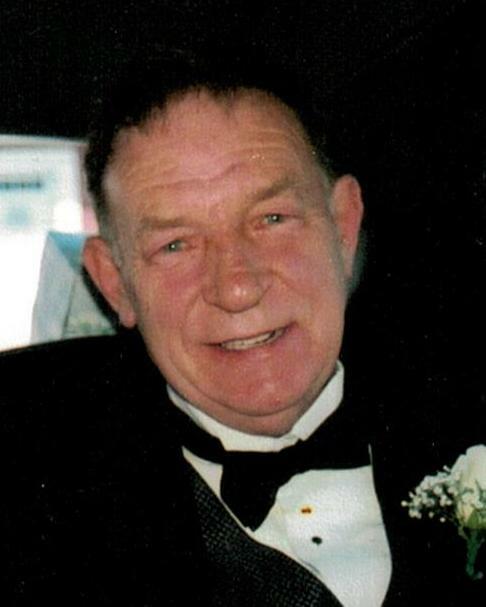 Bob was an avid sports fan who enjoyed watching the Phillies and the Eagles play. He also enjoyed a day at the track or an evening in Atlantic City with family and friends. Some of you may remember him during his Slice of Heaven delivery days where he was affectionately known as “Saddlebags”. Bob was a family man who spent much of his earlier years on the Pop Warner sidelines, coaching softball and visiting family in Metuchen. His true passion in life were his children and his grandchildren. He loved attending their sporting events, school functions and serving as au pair to his Will. Nothing made him more proud than his ten grandchildren. Predeceased by his beloved wife, Nora Matthews; he is survived by his four loving children and their spouses, Robert and Stacy Matthews, Suzanne and Barrie Cryan, Nora Anne and Neil Robinson, Colleen and Dominick Mazzella; his ten cherished grandchildren, Kailey, Jack, Lindsey, Matthew, Will, Bridget, Luke, Nash, Dominick and Abby.. he was a loving uncle to Maryann, Michele, Trish and their families. Viewing Monday, July 23rd from 4 to 8 PM at Barnegat Funeral Home, 841 W. Bay Ave., Barnegat. Mass of Christian Burial offered Tuesday 11 AM at St. Mary’s Church, Barnegat. Private cremation to follow. In lieu of flowers if you wish to make a donation to Parker’s Army in memory of his grandson’s friend and teammate, a story that touched his heart (www.parkersarmy.com). We also encourage you to visit your favorite watering hole and raise a Miller Lite in memory of “Kool Bob”.